Objective: Live Webcast of Hon'ble Prime Minister's Address to Farmers, Agriculture Scientists and Other Stakeholders in Krishi Unnati Mela 2018 @ IARI, New Delhi. 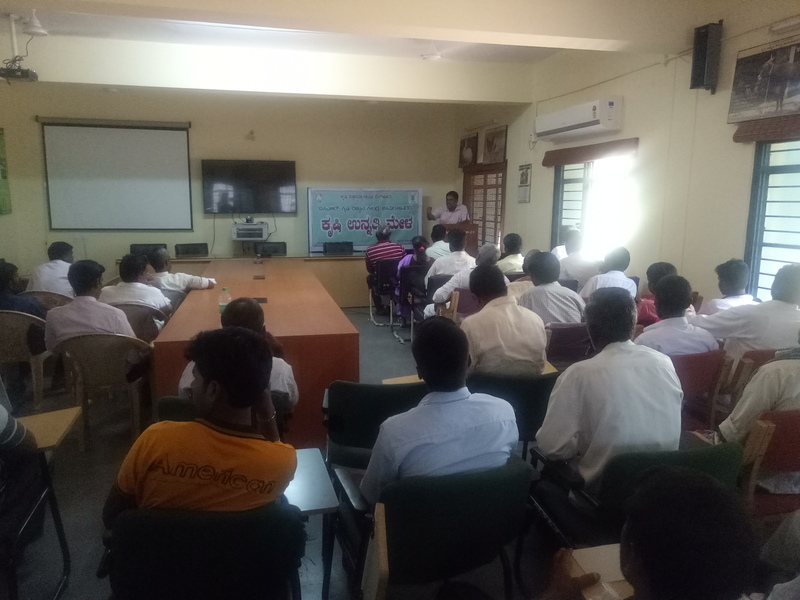 In ICAR KVK, Chamarajanagar, Karnataka conducted a Live Webcast of Hon'ble Prime Minister's Address to Farmers, Agriculture Scientists and Other Stakeholders in Krishi Unnati Mela 2018 @ IARI, New Delhi. There were 118 farmers and 9 NGOs officials attended the programme. Farmers were so happy about the programme organized at KVK, Chamarajanagara. Image: Translation of Prime Minister's deliberation.